View the best acoustic guitars of 2019. From rock bands to an orchestra, when it comes to creating true music, musicians won't compromise. Either it’s the perfect sound quality, amazing tuning, fabulous durability or nothing at all! Don’t let the perfectionist in you back down. The same is true if you're a guitarist. Whether you're a beginner or have been in the industry for a long time, we understand exactly how important it is for you to choose the best guitar that not only suits all your needs but can also be the perfect match for your wallet. If you're looking for a louder guitar, check out our top 10 list of acoustics under 500 dollars, Acoustic Electric guitars under 500 here. Or see the top acoustic electrics for under 1000! 1. How Much Does it Cost to Buy an Acoustic Guitar? 2. 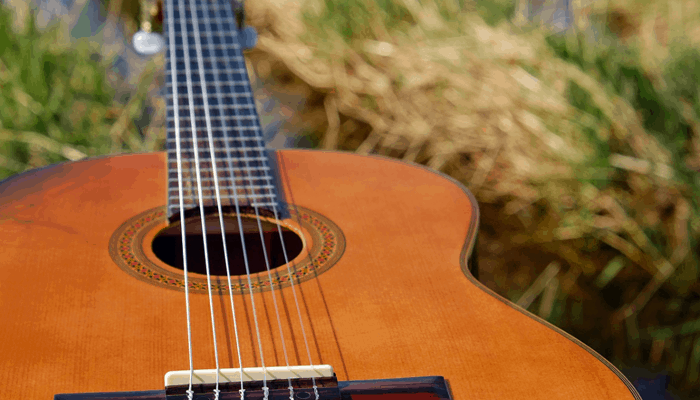 What is the Difference Between an Acoustic Guitar and an Electric Guitar? 3. What is a Semi-acoustic Guitar? 4. What is the Best Guitar Brand? For those of you starting out, we recommend looking into metronomes to make sure you learn to keep in time. We've formulated a top 10 list of our favorite metronomes here. Acoustic guitars have been a personal favorite of most musicians, singers, and performers. We bring to you a few selected guitars that are the best available. Not only are they the top guitars recommended by professionals, but they also help encourage first timers to follow their dreams of playing the guitar without having to break their banks. You will find a large range of combinations from efficient playability, luxurious and classic design, to cutting edge perfection all included in the list below, which was crafted to suit the needs of every guitarist. A standard design and a traditional look come together in one of the best rated acoustic guitars which is available at a very affordable price. The Yamaha FG800 gives you comfort in tune with your needs. This is another addition to Yamaha's esteemed FG series. The focus was always to produce a high-quality musical instrument with explicit playability and outstanding tuning without a punching a hole in your wallet. The FG series has always been considered a classic choice amongst millions of guitarists for the past 50 years. The FG800 is a continuation of the series and offers even more refined playability along with features that are a class apart. It has always been a symbol of assurance to professionals and has never failed to strike the perfect tone of expectation with contemporary musicians. The latest 800 range of guitars of FG is a breakthrough for the Yamaha R & D department, due to its new and improved design. It allows you to embrace its great playability along. Thanks to its cutting-edge technology, even though it is a classic design, the FG800 still packs a good punch with its louder and even stronger sound. With the use of analysis and simulation, Yamaha engineers have struck the perfect balance in rhythm and sound without skipping tradition to bring you one of the best acoustic guitars from the one of the renowned guitar companies on the market. Let’s take a look at why the FG 800 is a contemporary perfectionist’s choice. An improved design called the FG180 was introduced to celebrate Yamaha's 50th anniversary. This latest design is the reason behind the perfection of this series as it maintains the durability of the top board of the instrument without sacrificing its natural sound. It includes both five grades featuring and different tonewood options, not to mention the large variety of color choices that comes in both acoustic and electric-acoustic models. Don’t forget you have the Yamaha guarantee; they make sure your experience with their beloved FG is as personalized as it gets. + Solid Stika Spruce Top for a great performance. + Diecast Tuners for better tuning. Why We Liked It - Great on performance but not so much on durability, this guitar can be a good buy if you’re beginners or you're on a smaller budget. Looking for the best choice guitar as a beginner? Look no further! Choosing a guitar when you're a beginner is always tricky, but Fender has created the best option yet. A smooth and attractive design paired with a protective glossy finish that comes at an amazingly affordable price?Is that all that Fender has to offer? Nope! It just keeps getting better and better! The Fender FA-100 comes packed with outstanding features like a quarter Swan X-bracing, laminated spruce top, and a perfectly compensated saddle to top it all off. Weighing in at only 10 pounds with a dimension of 43x7 and luxurious laminated wood, a guitar like this is sure to shine in the spotlight. Enjoy the accessory of light bronze strings that can make you tuning a breeze. The classic look and fine edged design offers a comfortable holding position and ensures you have a good time while playing your favorite tunes. It makes this guitar one of the best for genre musicians. The special strap provided by Fender lets you relax into the perfect position and reduces stress while playing. Besides its natural glossy rosewood top, its time-tested quarter Swan X-bracing enables you to play distinct rhythms with full stability, which is a characteristic particular to the FA 100. The strap also comes with the special hex adjustable truss rod located near the neck that will help you adjust string tensions from the 12-52 gauges of Fender Duratone strings. 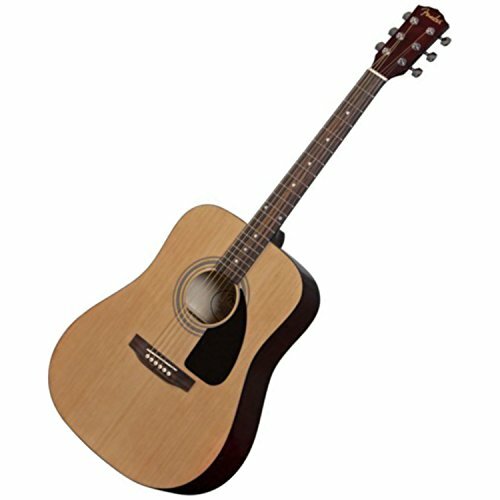 The FA 100 is a full-size dreadnought guitar specifically designed for beginners. The strings are close to the fret which means it's easier to play. It is also available with its own electric tuner, strings, and extra picks, not to mention its amazing strap. Do you still expect more? Well then here comes the crescendo; the FA100 comes with Fender's very own limited lifetime warranty and also Fender’s original black nylon gig bag. + Affordable, making it a great choice for beginners. + Accessories such as gig bag plucks etc. as freebies. Why We Liked It - If a thick top is not an issue for you, you can go for this amazing guitar. 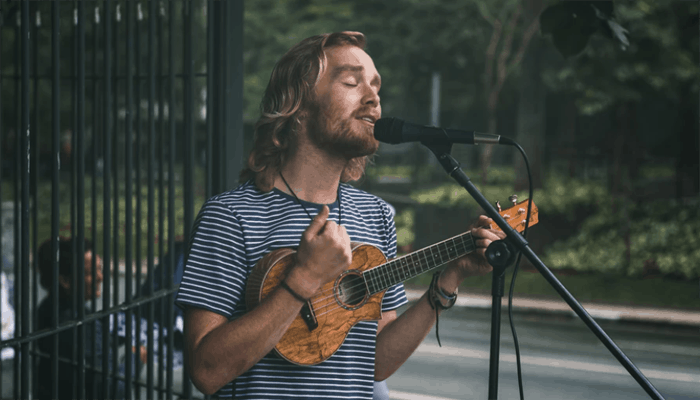 When you are passionate about music, all you need is a guitar that produces a good sound that’s well-balanced and is easily portable for all your concerts, sessions and classes. This acoustic guitar is one of the best budget guitars on the market that has all these features and much more. It's a small guitar but has big tone, feel, sound quality, and resonance. It is a versatile and top-notch guitar that never compromises on sound quality, convenience or durability. This acoustic-electric guitar comes with a Sitka spruce top, mahogany high-pressure laminate back and sides, and a warm satin finish. A satin finish not only enriches the appearance but also allows optimal sound and easy playability. It produces a more natural sound and resonance against the wood. This model has sustainably certified wood parts which further guarantee its durability and efficiency. It allows great action on little fingers and allows easy playability and convenience. Most people prefer it for its size. They can travel with this guitar literally anywhere and everywhere. It comes with a gig bag which keeps it protected and secure and it also fits in the overhead bins of airplanes. It has a unique sound. The padded gig bag gives more protection so that you can carry it anywhere. This is the best acoustic guitar for the money. If you prefer the sound of Fishman pickups and like an onboard tuner, this is the guitar you should be going for. It guarantees a tight, rich tone. You can make your performance way more flexible as Fishman Ion T-electronics enriches and electrifies the sound. It has a Stratabond modified low-oval neck, Tenon neck joint, and Gotoh nickel tuners. + Easy to carry around. + Rich tone and resonance for a great performance. + Big gig bag that allows protection. Why We Liked It - If you're looking for an acoustic electric guitar that provides a magnifying performance in spite of its small size and portable quality, this is it. This is one of the best budget acoustic guitars around. It's ideal for beginner guitarists. 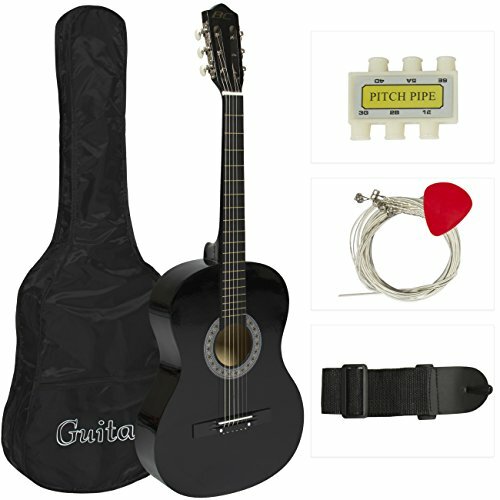 This guitar starter kit contains a guitar pick, pitch pipe, a shoulder strap, and an extra set of strings. This is a right-handed guitar furnished with a smooth, black finish that adds to its beauty. 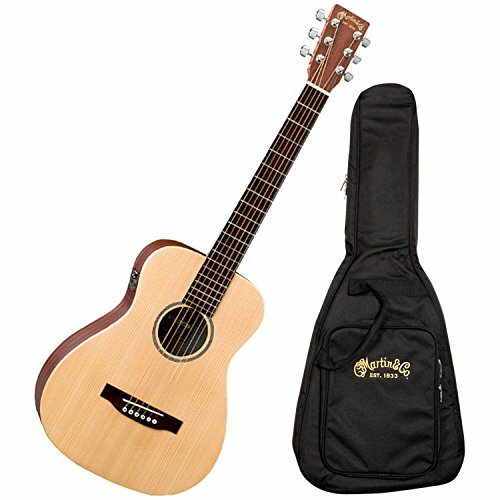 This acoustic-electric guitar also comes with a nylon carrying case that is perfect for storage and portability. The nylon case keeps the guitar safe and sound while also making it easier to take it on the go. The tuning pegs provided with this acoustic guitar are easy to adjust. The guitar has a sturdy wood top that has smooth curves and edges which add to convenience and comfort while playing. It's great for every genre of music, especially rock and folk. Why We Liked It - If you're beginning your musical journey, this is one of the most reasonably priced acoustic guitars you could get which produces a full-bodied sound. This is one of the most reasonably priced acoustic guitars available for either beginners or seasoned guitarists who obsess over creating good music. It is a finely crafted guitar that comes with a limited lifetime guarantee. It's one of the top-selling acoustic electric guitars available for either seasoned pros or beginners. This is a dreadnought guitar with a great look and a resounding, bold sound. Its one of the best guitars for its price because it has more features than a lot of popular guitars. This is a well-built guitar that is easy to play. It comes with a spruce top and agathis back and sides which add to its beauty. It is a versatile, convenient, and durable musical tool that can be used for extended periods of time. It has a satin neck finish which not only looks great but maximizes resonance for optimal sound quality and easy playability. Its bridge and fingerboards are made of rosewood and so are its chrome tuners and body binding. This acoustic guitar has phosphor bronze light gauge strings that are easy to play and make a great sound. It has a rosewood fretboard, laminated nato back and sides and a satin finish. This acoustic guitar comes with steel strings (click here for our full intuitive guide). The satin finish gives more natural acoustic sounds than most other glossy finished guitars. + Very affordable, perfect for a beginner. + Natural sound production and resonance. + 20 close frets that make it playing easy. + Sturdy and stable and therefore lasts a longtime. Why We Liked It - If you're looking for a guitar to produce natural sound and resonance and allows for easy playability, your search ends here. This fantastic guitar has a mahogany body which not only makes it sturdier but also increases the quality of sound and resonance that the guitar produces. It is notable for producing a more natural resonance and optimum sound quality. It has a select spruce top and a 25.5 scale. It has the look, the sound and the build quality that first-time players, as well as professionals, prefer in their musical instrument. It has a dreadnought shape which is great for bluegrass, folk, rock, country and all the music genres in between. The dreadnought allows a well-balanced sound system in which you can either lessen or increase the volume of your playing. It comes from one of America’s most respected instrument makers, Epiphone. The bridge is made of rosewood and rosewood is known to be a long-lasting and equivalent companion to the spruce top. There’s also a classic black vintage-style pickguard. The neck has a slim-taper shape with 14 frets and it has a rosewood fingerboard that comes with dot markers, which makes playing easier. The sound it produces is bold, full-bodied and room filling. This sets a new standard for low-cost acoustic guitars available in the market for beginners and experts, alike. This comes with a tone and a feel you never wish to give up! It has a profile that is not too thick or not too small and allows for a variety of playing styles. It has easy playability and optimized sound quality. + Dot markers that make playing more convenient. + Durable and convenient to carry around. Why We Liked It - If you're looking for a guitar that only plays better with time but is affordable as well, you won't do better than this classic by Epiphone. The Seagull S6 "The Original" Acoustic Guitar is one of the best mid-range acoustic guitars available. Playing this instrument is a joy thanks to its rich, beautiful tone. A made-in-Canada product, it is made of hardwood which gives its design a sturdy look. It's a classic Seagull product, made of Canadian wild cherry and silver colored maple. Its fretboard is rosewood. Compared to most other guitars, it has a better tone, more stylish looks, and is easier to play. This is the best acoustic guitar in Seagull's product line. Beginners love it as it's easy to use and is available at a low price. Basically, it's a must-have for beginners. You can also carry this acoustic guitar to your live performances - it stays tuned for a long time. + Reliable for live performances. + Easy and comfortable to use, especially for beginners. Why We Liked It - This classic Seagull S6 Acoustic Guitar is one of those rare products that never has any complaints attached to it. It is great value for money and is definitely a must-have for beginners. The Taylor 224ce Deluxe Koa Grand Auditorium is an amazing deal if you are looking for an affordable acoustic-electric guitar. The game changer for this product is its beautiful structure and the sound of the koa body. It is a high-quality, premium product. The guitar's back and side are made of laminated rosewood. The sound is warm and inviting. If you plug it in, this guitar plays wonderfully due to its three section pickup which is behind the saddle. This provides a remarkable sound quality which is both clear and accurate. 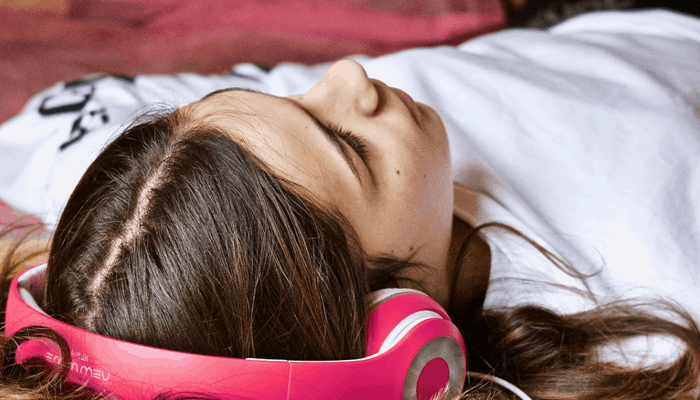 In addition to amazing volume control, it also has a pair of tone controls which enables the user to tweak highs and lows and will enable you to get the exact sound you need. Why We Liked It - This is an appealing instrument, whose quality koa wood will age beautifully. It is not only a versatile guitar, but it also performs well whether you're strumming, fingerpicking or playing power cords. It will definitely ensure a good performance at a very reasonable cost. The Martin Road Series DRS1 Dreadnought Acoustic is a well-built guitar which weighs around 21.6 pounds. This instrument has been ranked 19th overall out of all acoustic-electric guitars. Being one of the gems in the Martin collection, this acoustic-electric guitar has an amazing sound and tone quality, making it the preferred choice for many people. It is also Martin’s most affordable guitar and is made of solid wood which gives it that true Martin tone. It has a strong neck with a simple lamination and its beauty lies in its simplicity. With frequent use, the sound will open up and continue to improve significantly. 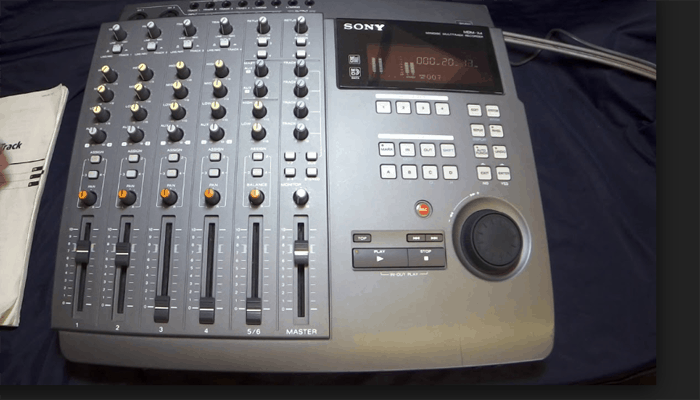 The sound projection of this instrument is amazing and it comes at an affordable price. The genius craftsmanship ensures that it stays in tune for a long time without even adjustment. It has a rich sound. Though the Fishman Sonitone system does not do justice to this system, it is still an incredible choice at an affordable price. If you are a working, traveling guitarist then this is the guitar for you. It comes at a low price and is durable while not compromising on the quality or the accuracy of the sound. It is one of those guitars that can be played for years and yet won’t require a frequent battery change. It's fun to play and has a nice feel. With its rich sound, it is perfect for a performer in professional setups. + Stays tuned in for a long period of tie. + Strong, reliable and durable. Why We Liked It - If price isn't an issue, you can definitely go for this guitar which can be used during jams, long practice sessions, and travel.. 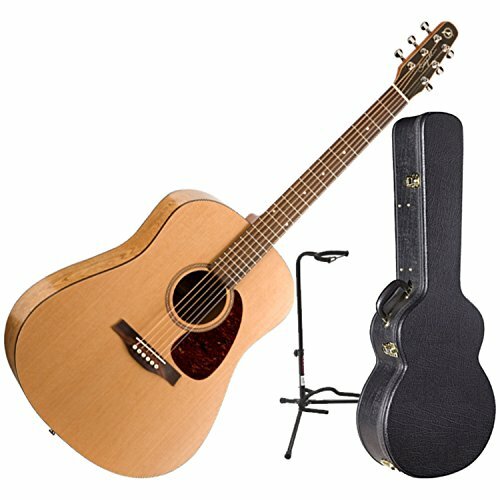 The Fender Sonoran SCE Dreadnought cutaway guitar is one of the best acoustic guitars you can pick up for under 500 dollars. Whether you're a professional player or just beginning, this acoustic guitar is the right choice. 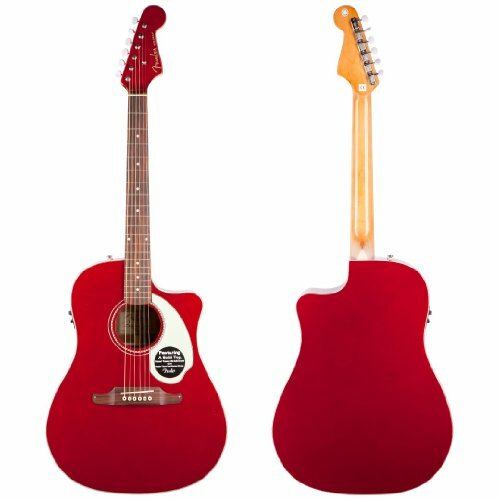 With a rich candy apple red color, the guitar is a real stunner. The three-ply pickguard is a very useful feature as it helps to protect the guitar against scratches. It has a dreadnought cutaway body shape. Most of the time, choosing a guitar for a beginner is a tough call. Without much knowledge, you may end up choosing the wrong body shape. The dreadnought body is shape is a good choice for people with longer arms. There are various types of acoustic guitars available. You can choose the best fit for you. The Fender Sonoran SCE comes with a scalloped X bracing and a solid spruce top. Moreover, the back and the side of the guitar are laminated and made of mahogany. The maple neck guitar has 20 frets and a rosewood fingerboard. The quality of the guitar is amazing. 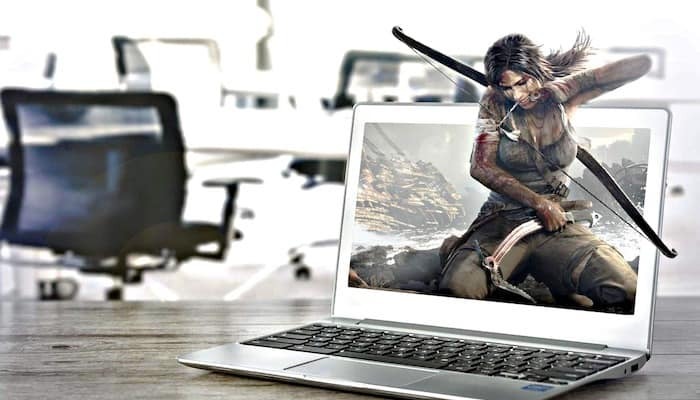 You will be addicted from the first time you play it. The maple neck of the guitar has a vintage C shape and is rosewood with a compensated bone saddle. This is one of the best acoustic guitars for the money because it has a connected Fishman Isys III system which has an active onboard preamp and tuner. The Fishman Isys III system provides maximum value in a small package. It helps in shaping the tone and volume of the acoustic guitar. The guitar has a Stratocaster headstock shape which is unique to all the Fender acoustic guitars. The lightweight body of the guitar allows the person playing it feel like it was a part of their own body. The shape and size of the guitar make it very easy to carry from one place to another. + Stratocaster headstock shape for a great performance. + Fishman Isys III system with Pre-amplifier and tuner. + 20 frets and rosewood fingerboard. Why We Liked It - If you are willing to invest a little more money, you can get the very classy California vibe acoustic guitar that comes with a warranty. Solid Stika Spruce Top for a great performance. Diecast Tuners for better tuning. Affordable, making it a great choice for beginners. Accessories such as gig bag plucks etc. as freebies. Rich tone and resonance for a great performance. Big gig bag that allows protection. So you have finally decided to invest in your dream guitar. Playing the solo of ‘Hotel California’ or ‘Stairway to Heaven’ may have been your dream and you are currently in the process of making your dream into reality. 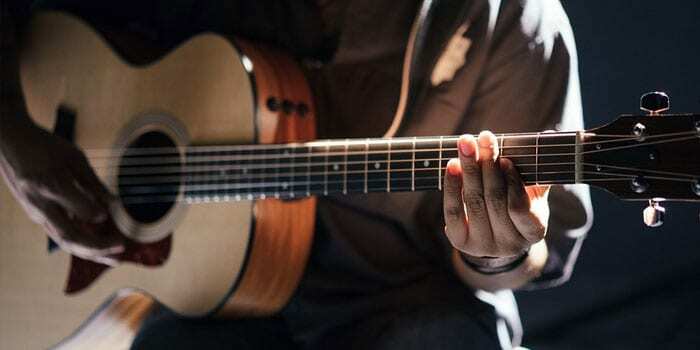 From fast-paced classical music to sing along chords, an acoustic guitar is a versatile instrument that is cherished by all ages and used to play a variety of music. Now, the pricing of an acoustic guitar depends on your requirements, the age group, and the type of guitar you intend to purchase. There are various types of guitars such as concert, auditorium, dreadnought, cutaways, travel, and mini-acoustics to name a few. Concert: A concert guitar starts around $100-$400 and will be $500-$3000 for better quality models. Auditorium: An auditorium guitar starts around $100-$300 and will be $500-$1500 for better quality models. Dreadnought: A decent dreadnought starts around $80-$250 for beginner models and will be $250-$900 for better quality ones. Travel and Mini-Acoustics: These guitars start around $50-$200 for a basic beginner model. But do make sure that you don’t end up buying a toy one online! Cutaways: These guitars cost about $100-$500 for basic beginner models and high-quality acoustic ones could cost as much as $2000-$3000. While these are the main costs, a few other things will add to the overall cost. A softshell guitar case is about $20-$80, hard-shell cases are $60-$300, guitar picks (ranging between $2-$4) and a guitar strap (that costs about $15-$100) may be included as additional costs. Additionally, Nylon strings may cost about $7-$10, whereas steel strings can be about $9-$12. An acoustic guitar consists of a hollow body that has a sound hole right beneath the strings. The wooden side is called the soundboard, which is made of wood like spruce or red cedar. When the strings of an acoustic guitar are strung, the vibrations are transmitted to the soundboard. The energy of the vibrations is then transferred within the guitar body which amplifies the sound. Interested in an electric guitar to learn to play with? Click here. On the other hand, an electric guitar has a thinner yet stronger body without a sound hole. Instead of the hollow body, the electric guitar uses transducers which convert string vibrations into an electric signal which is then sent to the speakers to amplify the sound that we hear. An acoustic guitar generally has electric pickups that are usually stuck to the inner side of the guitar body and are very faint. They don't produce the best sound quality. 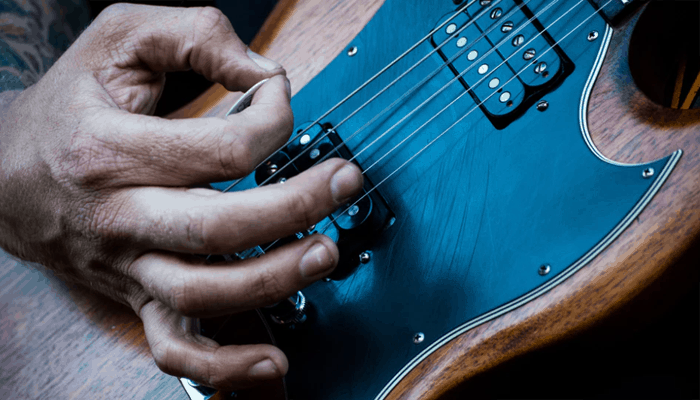 An electric guitar, on the other hand, uses high output electromagnetic pickups that capture even the slightest of variations in the magnetic field. 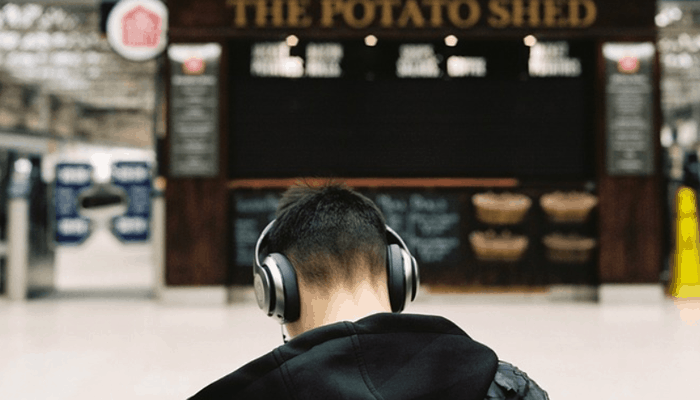 These are highly sensitive which guarantees better sound quality – a lot better than acoustic guitars. An acoustic guitar does not require any added equipment such as amplifiers or powers, as it produces sound solely with its hollow design. An electric guitar requires amplifiers to produce sound effects. It loses some of its sound quality due to the transfer of energy taking place. Additionally, it has many buttons, knobs, and switches that may be a little too much to comprehend if you are a beginner. An acoustic guitar generally is more cost-effective than an electric because of its composition and the lack of equipment required. The acoustic guitar, because of its big body and heavier strings, is usually harder to play than the electric one. Although it is easy to learn for beginners, the buttons and knobs of the electric guitar can take time to learn. So, as a beginner, it's up to your personal preferences as to which route you'd rather take. Both acoustic and electric guitars need similar maintenance such as keeping away from extreme conditions (both hot and cold), protecting it against sharp objects, and cleaning solutions to name a few. You can keep your guitar in a protective case to protect it. You also need to replace old guitar strings and clean the fretboard at regular intervals to ensure that the guitar continues to sound good. The only difference between the two types is that electric guitars need additional maintenance such as the adjustments of the pickups with the help of a screwdriver, adjusting the amplifier and so on. Acoustic guitars require slightly less maintenance as they come with humidifiers which are present between the strings and prevent the wood from drying up. Out of all instruments, guitars are among the most popular. Today, much to the delight of the music lovers and to all those who dream of playing, there are many different kinds of guitar available to buy. Semi-acoustic guitars are one such category. They fall under the electric guitar category, which is preferred in jazz and pop. You may also be looking to create a slightly different sound. If so, click here for the top looper pedals money can buy. The semi-acoustic guitar is also called the hollow-body electric guitar. Parts of the body are electric while others are hollow like a traditional acoustic guitar. It has a sound box and one to several electric pick-ups. Electric pickups are used to convert the picked mechanical sound into an electric sound which is then further amplified using the instrument amplifier. Manufactured for the sole reason of enhancing the overall volume of the guitar, semi-acoustics are very popular. Widely accepted as the hybrid of electric and acoustic, semi-acoustic guitars can be played unplugged as well as plugged-in. Marked as revolutionary in the history of guitars, the semi-acoustics are largely manufactured by popular brands like Gibson, Rickenbacker, and Gretsch. They continually improve on their designs with each new release. Regardless of whether you're a beginner or a seasoned pro, the brand of guitar you buy is important. Buying from a well-respected brand will ensure you're getting a high-quality instrument that you can enjoy for years to come. There are several high-quality brands but Martin & Co. has established itself as one of the most trusted and celebrated guitar manufacturing brands in the world This U.S. based company has been making the finest instruments for over 183 years. Martin & Co. are best known for their acoustic and electric guitars. Many popular series has become the best sellers of their time. The Martin D-28, Martin CEO-7, etc. Martin D-28 is among the most loved guitars of all time and the latter is also the winner of Player’s Choice Best Guitar. Every single product is made with great care, paying attention to every minute detail. Martin & Co. is the preferred choice of artists and musicians all over the world, from professionals all the way down to beginners. Many celebrity musicians swear by the Martin name. 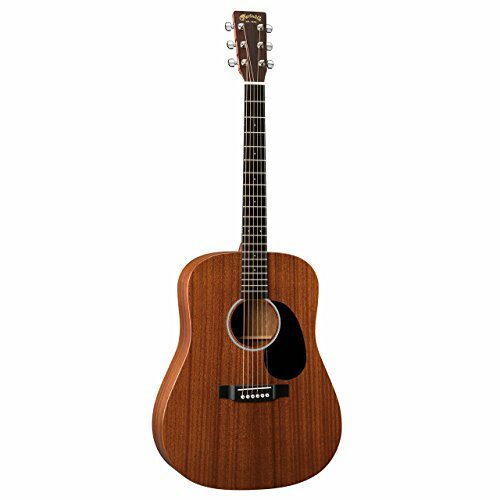 The Fender FA-100 dreadnought acoustic guitar is the perfect guitar for beginners. It comes with a protective nylon gig bag to keep your guitar in, making it a great value. You don't have to waste money buying a guitar case or a separate gig bag. The guitar is very beautiful with its natural color and style. The time-tested quarter sawn X bracing and the laminated spruce top gives it the upper hand over other acoustic guitars. The guitar's body and neck are made from laminated wood and the back is made from agathis. It doesn't matter if you're right or left-handed; this guitar is ambidextrous. 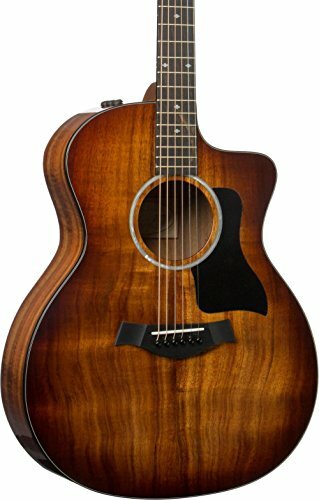 With all these features, the guitar leads the category of best acoustic guitar under 300 dollars. The Yamaha FG800 Solid top acoustic guitar proves that you don't need to spend a lot to make great music. It has fantastic musical tone, an outstanding build with a lightweight body, and its balance makes it a fantastic all-rounder. This guitar is a classic and comes in many great colors such as mahogany, autumn burst, natural, black, brown sunburst, sunset blue, turquoise, ruby red, flamed maple, tobacco sunburst, and dusk sun red. This acoustic guitar has the best quality at such exceptional price, you'll be itching to pick one up for yourself It's the best Yamaha Acoustic guitar. In our opinion (which is shared by many guitarists worldwide) the best acoustic guitar is the LX1E Little Martin Travel Guitar. 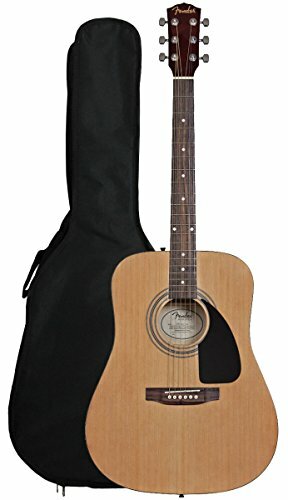 This guitar is a perfect choice if you travel often; you can easily strap it around your shoulder and go. Going out on a camping trip,a picnic or just for jamming sessions, the guitar works wonderfully in all situations. It has a modified low oval neck shape and White Corian nut, to hit any notes you play. It is ideal for live performances as it gives a phenomenal sound compared to other traveling guitars. To rock the stage at live concerts or performances, you can always rely on the quality of this guitar. You won't ever be disappointed.